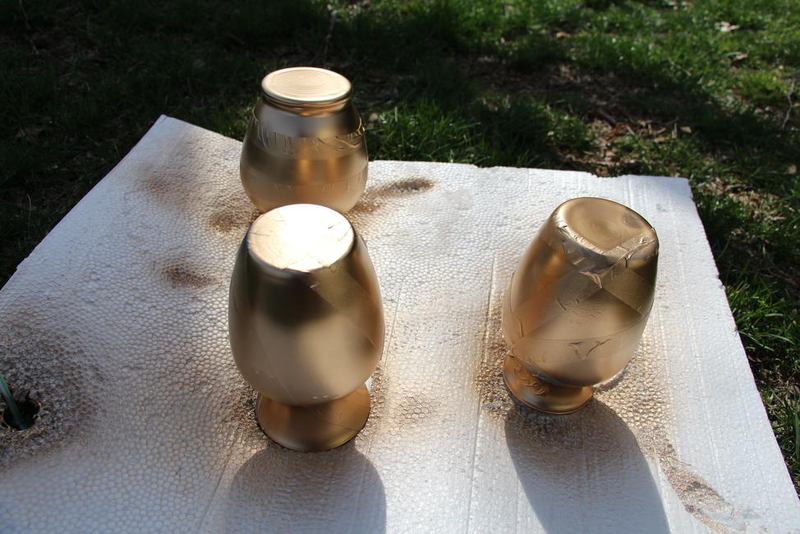 The gold is a glam pop of color and adds a bit of class. 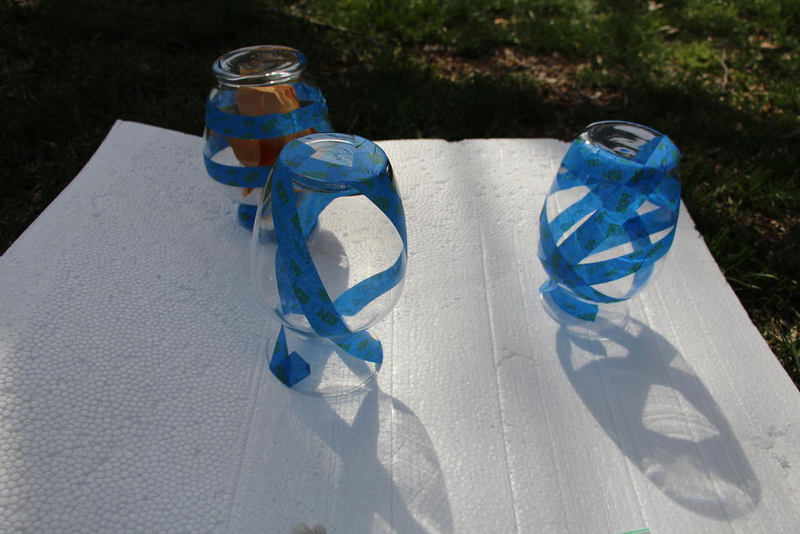 Following her instructions found here, this is what I did below:1) Find some empty glass vases. I’ve had these laying around the house and at work for a while so I wouldn’t miss them. 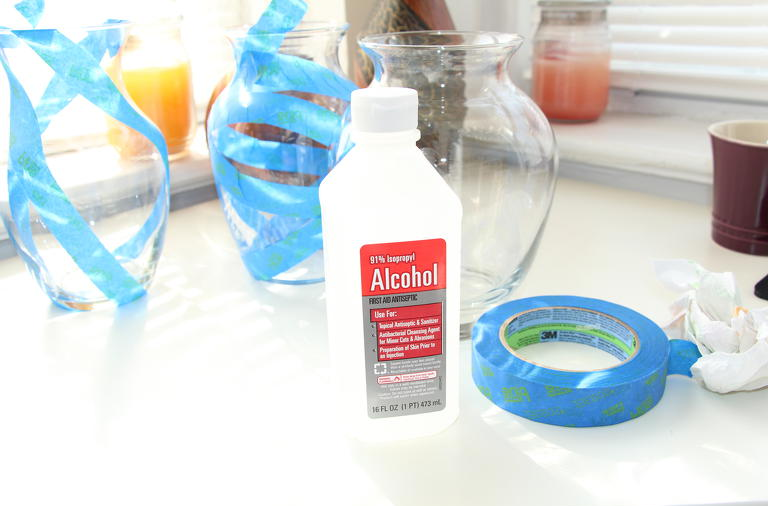 Make sure you thoroughly clean them with rubbing alcohol. 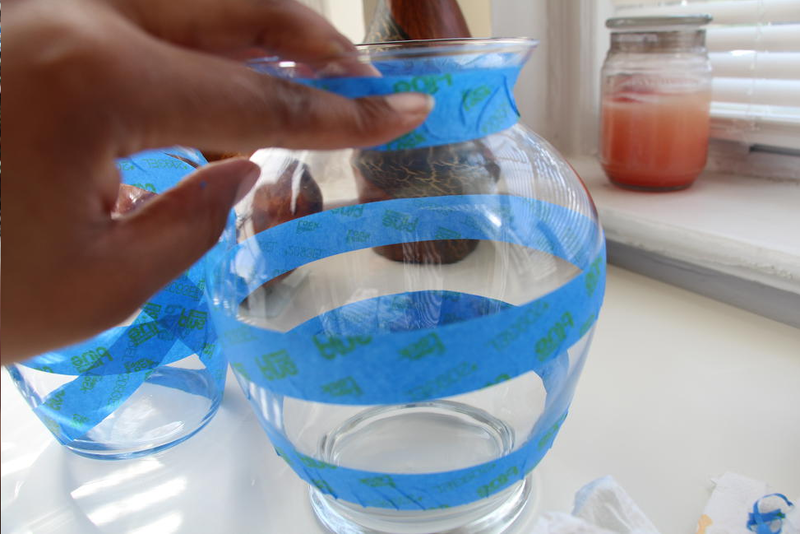 2) Using Edge Control Painters Tape, create a design on your vases. I wasn’t very good at this…you’ll see what I mean later. So, full disclaimer here: this was the very first time I’ve spray painted glass. There are a few things I would change about my process and I will go into that below. 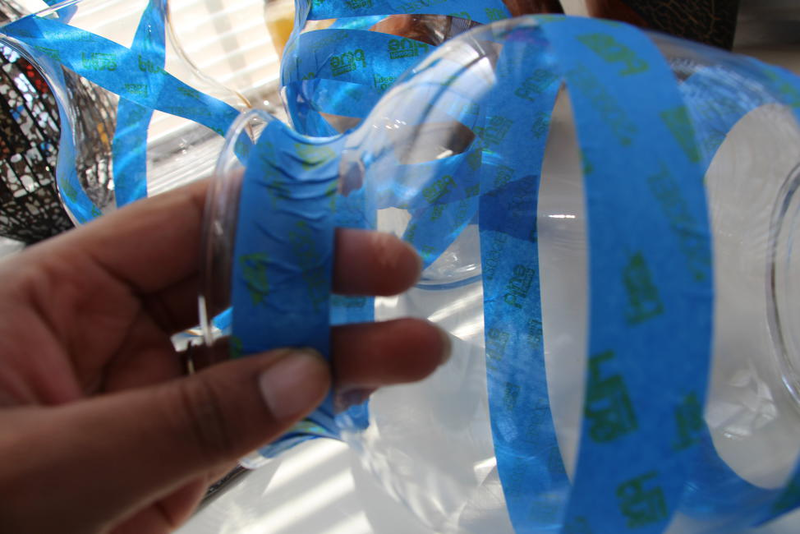 1) I have to learn to put on painters tape smoother. The way I did it led to a little bleeding of paint. 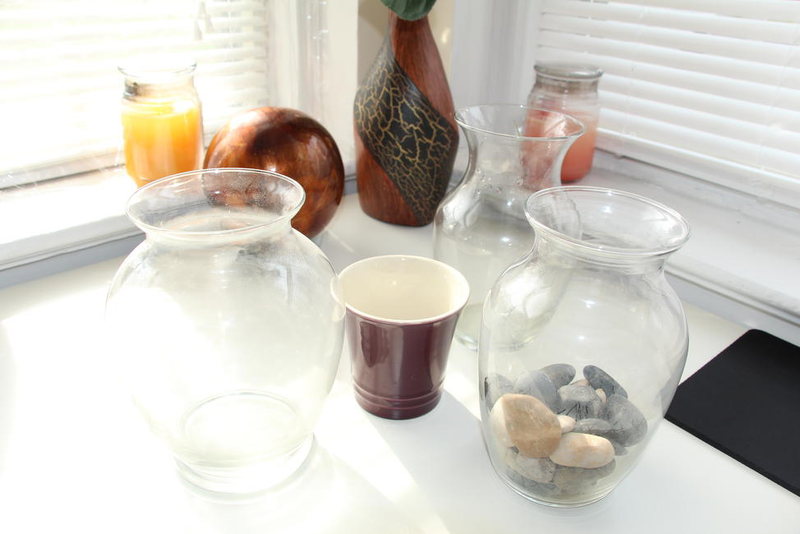 You can kind of see it in the middle vase at the top. I’m not sure if it was the way I put on the tape or if I let the paint dry too long. Either way, I’ve got to get better. 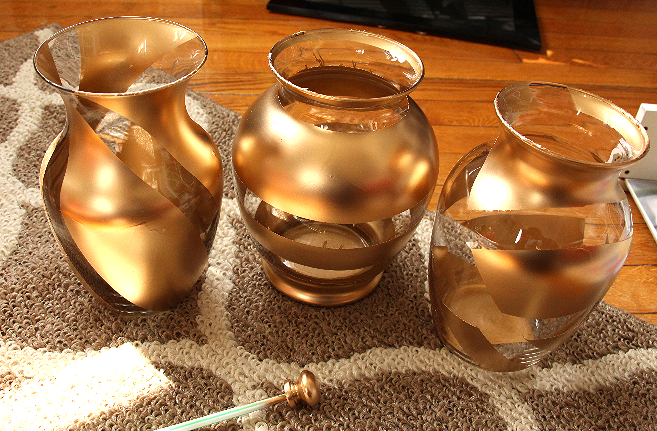 3) I probably should have put a clear gloss coat on the vases. I didn’t have any then and didn’t think to buy some. 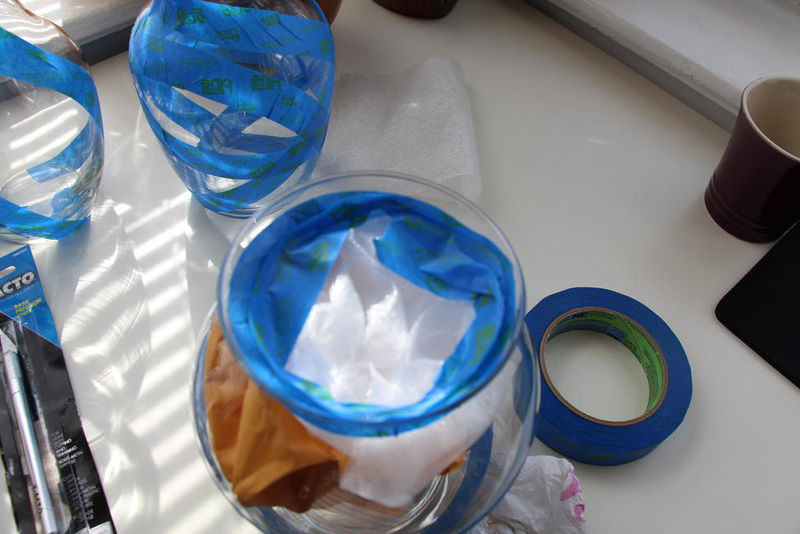 Now, the vases are kind of smudged with finger prints. Oh well. Do you plan on adding pops of gold in your life?